Are you ready for an adrenaline explosion? Fast and powerful, the Blackout XTE PRO is equipped with a powerful KV3800 brushless electric motor, with heat sink, and forward/reverse ESC. Ready to run out of the box, the Blackout XTE PRO is eager to heat up the neighborhood. 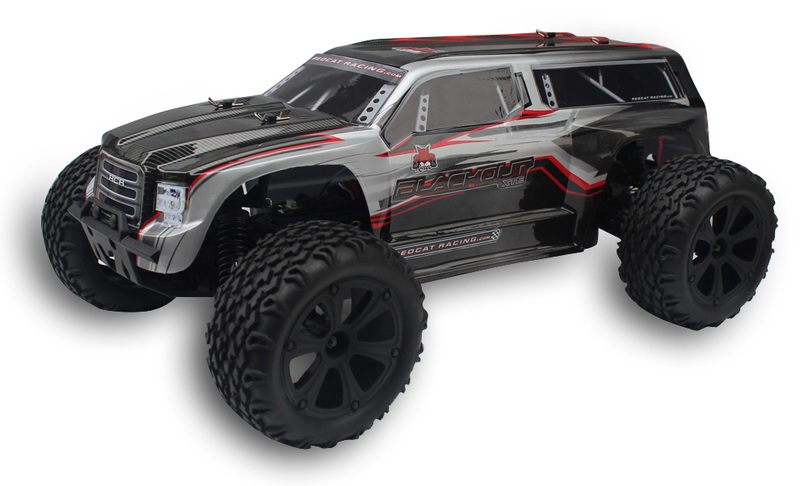 Complete with LIPO battery and charger, this monster truck has everything needed to get started. Lightweight plastic chassis, four aluminum capped oil filled coil over shocks, and independent suspension offer rock solid performance as the soft compound monster truck tires leave disaster in their wave. Fear not! A 2.4GHz radio system and waterproof electronics ensure control, for those who dare to unleash the power of the Blackout!